My latest paper toy is a contribution for this year’s Urban Paper Collective show, which theme is “Circus”. The show and workshop will take place during the first weekend of the KUNSTSOMMER ARNSBERG, Germany, 09-10. August. You can download this model for a limited time only, so don’t waste your time a click here! 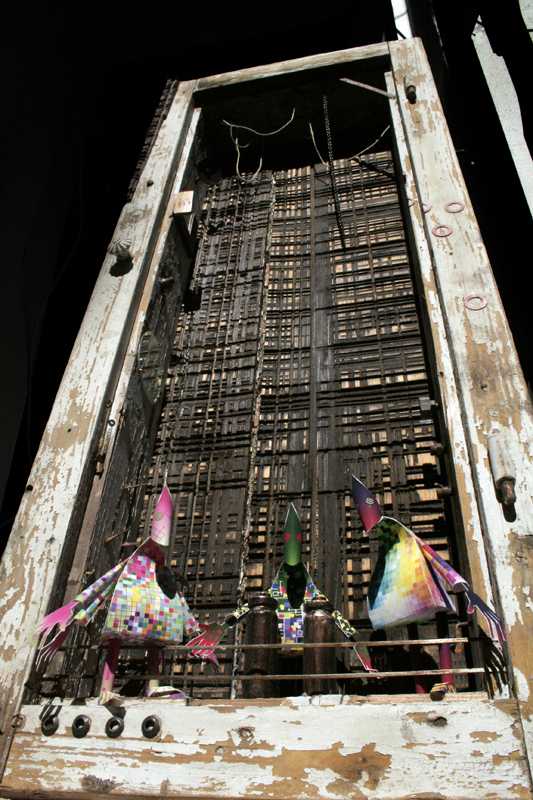 Check out previous monthly models from my friends from Urban Paper Collective! New paintings for the “City streets” chapter. BORROWORROB: In Search of Symmetry. Borroworrob: In many ways every artistic work is posed in relation to another force. This activity is already spatial. A question borrows space from the space that it questions, but this also robs the space it questions of its own space, sometimes a lot, sometimes just a little – doubling it, turning it inside out – returning symmetry to asymmetry. For this exhibition, Macapia brings together various questions concerning space, including economics, engaged urban research, and history. Small instalation scene, dedicated to the box. See more images at SCULPTURE. Just an experimental skate video I did from the rests of some skate footage and other trashy stuff, mixed with images of my MLIBTY Shadows sculpture series. The idea was to mix sculptures and skateboarding in one video, following the black&white aestetic of these sculptures and to wrap it all with a strong 2D graphic style, using the threshold effect. MLIBTY Shadows are taking over the main role in the video, ignoring the individuality of the skaters as well as info in the credits of the video. “No place for paper toys” @ Animateka 2013! My video “No place for paper toys” will be screened on 10th edition of Animateka, International animated film festival in Ljubljana, Slovenia, in the Eastern and Central European Panorama programme. The festival is taking place between the 2nd and the 8th December 2013. As a part of promotion for the new Paper Robots book, my ye-boT “Walking Jail” is available for the first time for free download from h.f.ullmann micro-site, along with all these beautiful paper robots! For direct download, »grab it here! 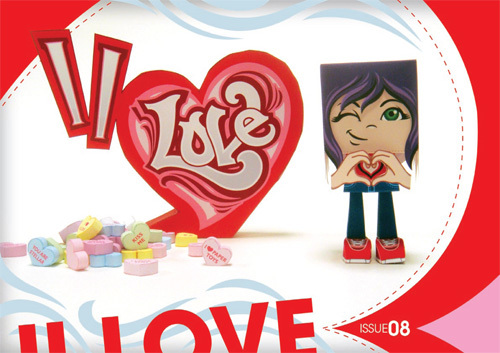 New paper toy book is coming out! This time it’s a project runned by Nick Knite, for h.f.ullmann publishing. These are my two paper toys, made exclusively for the “Paper Robots” book, featuring 25 toys from 15 worlds finest papertoy artists! The book will be available on several languages. 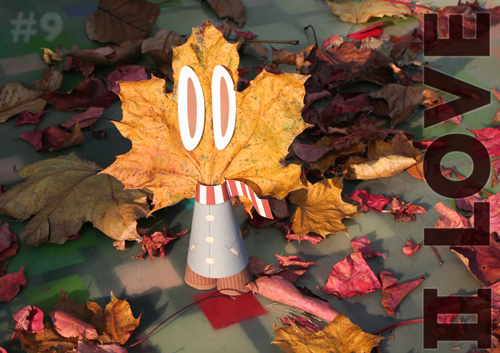 My work “No place for paper toys” will be screened on Baranja Animation Festival (BAF! ), from 23. to 24.08.2013, on Green Island in Batina, Croatia. This time it’s surrounded by impressive list of international animations; it’s a real pleasure to be part of it! MLIBTY shadow scene with Paper Toy. Video out as well, some time in the future!! “Making of”, my biggest Bugbot ever! More than 1400m2 !! Muzej ulične umjetnosti se na poziv Vipneta proširio i na Žitnjak. Nakon pozivnog umjetničkog natječaja na kojem je sudjelovalo više domaćih street-art umjetnika, glasovanjem zaposlenika Vipneta kao najbolje kreativno rješenje izabran je moj rad. Pogledajte umjetničko djelo na površini od preko 1400 m2 i „making of” video. This year’s program exceeds 15 hours in duration presenting several aspects of contemporary creation and examining topics such as the economic crisis, the relationship between nature and human societies, technological developments as well. One of the five main Blocks of the festival program, consisting of Video Art, Animation, as well as selected compilations from various International festivals, will provide viewers with the opportunity to familiarize themselves with a series of production techniques from all over the world. I always have less and less time for side projects, but after relatively long period, I managed to publish another issue of II LOVE. It’s not big edition, but I’m really proud of the exclusive toys featured in this number! Thank you guys!! Free direct »download or read on issuu. Amores de papel y mundos de cartón. Marko Zubak. En este caso les traemos una nota que nos dió el artista croata Marko Zubak (a.k.a. Yebo Maycu) quién además diseño especialmente para BCOD un paper toy, el cual podrán ver y descargar al final de esta nota! Hoy más que nunca… Read the full article on BeCreativeOrDie! I made this paper toy specially for Cooper’s 2nd Annual Group Art Show at Munky King Gallery, Sept. 10, 2011. With more than 100 artists from around the world participating in the show called “Stop It!”, the aim is to bring the awareness to bullying and cyber bullying. This toy will be available for free download after the show, so be sure to come back and get my latest work! Paper toy show at NextComic festival in OK center, Linz! Exclusive paper toy I did for my paper toy exhibition, as a special feature of NextComic festival in Linz, is available for free from today! II LOVE #8 finally out! I made it, finally, also with this issue!! Just before my PAPER TOYS exhibition @ NextComic festival in OK center! It was a real struggle with time, I even got flue, but here it is!